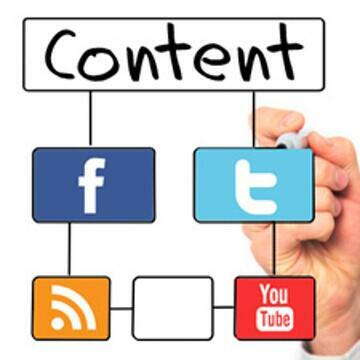 We trust that content marketing has already become an integral component of your Sales & Marketing strategies. If not, you’ll find countless resources here on our site to help get you get started. But neophyte or veteran in the practice, if you don’t re-purpose the quality resources you’ve archived on your website in the form of social media, you’re not getting full bang for your buck. A certain percentage of individuals, particularly those of more advanced age, can be somewhat Twitter and Facebook averse. We get that. But that’s no reason not to have a member of your marketing team handling these initiatives for you, and every business person in the B2B realm should have a Linked In profile enabled. Whether used for promotion, lead development, or as a means of staying in touch with your customer base, if utilized properly, social media can be one of your more effective Sales & Marketing Tools. Social networks like the aforementioned, as well as YouTube, Pinterest, Instagram, Vine and other smaller outlets have become important to the business community from a lead generation standpoint for one reason—reach. Your audience is spending time on these social networks consuming content, sharing with friends and conversing with brands, and generating rich demographic and interest data in their wake. As a result, social media as become another essential channel to connect with the marketplace and increase sales. And as a key component of the sales process is getting to know your prospects and establishing relationships, social media can help you jumpstart this process through unique outreach or, preferably, in tandem with the resources you provide through your website. However, overt promotions and sales pitches through social media tend to fall flat. Transparent Sales & Marketing messages don’t get shared, don’t start conversations and, consequently, don’t go viral. If you want to generate legitimate sales leads, you must be providing valuable types of content with a very light touch of promotional messaging mixed therein. Ideally, this content will be found in expanded form on your company website or blog. But as we will delineate below, that longer-form content and other resources you’ve been providing at your site can be parsed out in small digestible chunks to tease, inform, share, entertain and attract new customers to your website, and your products and services. Facebook may be losing some of its luster with kids and commerce alike, but there’s no denying that hundreds of thousands of businesses still reach out to millions of customers who have “liked” them on the social network site. While Facebook’s capabilities are more heavily weighted toward B2C than B2B, notifications to your “friends,” much like tweets on Twitter, can alert your constituents –consumer and professional alike—to new posts on your website, or even archived content that remains or has become newly-relevant once again. Tweeting also allows you to have an active voice in ongoing conversations that are taking place out there in the ether. In this case, that active dialogue can drive the creation of content that can then be teased on Twitter and consumed in-full by the reader by linking to your site. The more that your content and resources come across like an active part of the community conversation, informing, challenging and, if appropriate, entertaining them in the process, the more your voice will become a welcomed part of that dialogue. Twitter Tip: Parse out quick pithy bits of advice from a longer document, in serial fashion, over the course of a week. The only thing more effective than a well-written tutorial or product introduction on your website is a well-produced video conveying that same information. And no, we’re not saying that you need a $20k budget and Cecil B. DeMille Jr. to direct it. You just need a video with good messaging and picture and audio clarity. Tens of thousands of these are produced everyday with little more than a cell-phone camera and some basic editing software. Trends are indicating that short bursts of content and visual messaging are often the most effective, and videos are shared more frequently than anything else via social media. Please don’t give up the written word and go into full-time movie-making—blog posts, white papers and such will remain the key marketing initiatives for most businesses. But when a video is appropriate, post it on YouTube –in fact, establish your own dedicated YouTube channel from the get-go—and promote the post via Twitter, Facebook, email, etc. And be sure to embed that video on your website, too. As we said earlier, Linked In is essential for the business operator in the B2B world. Not unlike Facebook, alert your network of followers with a tease of the new resources and blog entries you’ve posted on your site. Get involved in the professional dialogues that originate or are shared via Linked In. It’s a great way to meet and network with colleagues and generate organic business leads in the process. These photo- and video-oriented have become increasingly more popular with consumers wishing to share brief visual images of products they enjoy or covet. Obviously, these types of social media are going to be far more pertinent to a fashion designer than a manufacturer of machine screws. But if your product or service has a tendency to provoke chatter or emotional reactions among customers, the value of these image-based networks can’t be denied. Post photos not only of new products, but products being implemented in informative or entertaining ways. In recent years, designers’ dresses photographed being worn by a celebrity, then Instagram’ed or tweeted, have received marketing boosts that no promotional budget could ever realize. Often more effective than launching your own photo is forwarding one that a customer has shared online. Encourage your customers to send you images of your products being utilized, being observed in unusual places, or appearing somewhere in some entertaining fashion. The value of these organic images, not to mention the engagement of your customers in the process, can be priceless. Of course, you must determine if your typical customer utilizes social media as a component of their own Sales & Marketing initiatives or customer outreach. There’s no percentage in being the tree that falls in the forest when there’s no one there to hear it. But in addition to using social media to provide and share your content, it’s a great “listening post” to read, watch and learn what your customers and prospects are interested in and what’s trending in your industry. Empower the member of your staff that really “gets” and enjoys social media and allow them to own this segment of your marketing efforts. Have them create a very distinct company persona online, and encourage them to build relationships with other social media mavens. Exchange resources with them and share one another’s with your respective followers. If you’ve got an arsenal of great content and other resources that can be parsed out as quick and digestible chunks of valuable or entertaining information, you’ve got a goldmine of lead generation tools at your disposal.